I absolutely loved the vision that Kim & Alvin had for their engagement session. They wanted to truly reflect themselves as a couple by documenting the things they enjoy doing together. So, we ran around Orange County (literally ran) to capture these special moments between them. 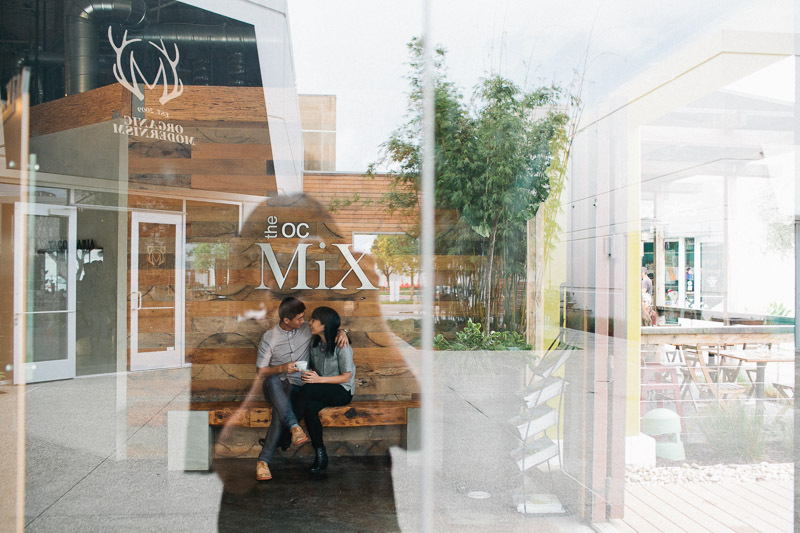 We started out at the Portola Coffee Lab: Theorem as these two are avid coffee lovers. Next, we headed to Peter's Canyon to capture Kim and Alvin's love of running and then ended up at one of their favorite cafes called Little Sparrow in Santa Ana to end the day with a delicious meal and a toast. I certainly enjoyed getting to know these two. One of my favorite things about them is that they make each other laugh so much. I have been married for almost 13 years now and that's one of my favorite traits of my husband is his ability to make me laugh. I just know that these two are destined for a long, healthy and happy life together. I can't wait for the wedding later this year!